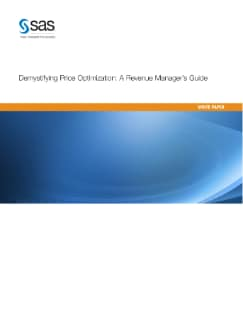 How is price optimization different from revenue management? The answer relates to the evolution of revenue management practices and the actual definition of revenue management. As this paper shows, today's travel and hospitality marketplace encompasses aspects of both revenue management and price optimization. To give revenue managers in the services industry the best possible results, SAS recommend an analytical approach that takes into account both revenue management and price optimization techniques.